The ban, which took effect immediately, eliminates the use of lead-based ammunition on federal lands like national parks and wildlife refuges, as well as any other land administered by the Fish and Wildlife Service. 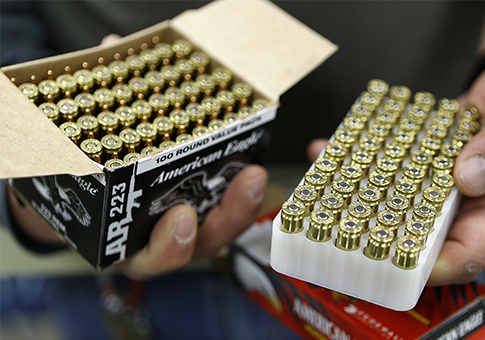 The ban is expected to have a major impact on much of the hunting that takes place on federal lands across the United States as lead-based ammunition is widely legal and used throughout the country. "Exposure to lead ammunition and fishing tackle has resulted in harmful effects to fish and wildlife species," Ashe said in his order. "According to the U.S. Geological Survey, lead poisoning is a toxicosis caused by the absorption of hazardous levels of lead in body tissues." "Ingested lead pellets from shotgun shells have been a common source of lead poisoning in birds," the order continued. "The Service recognized the problem of avian exposure to lead shot used for waterfowl hunting and enacted restrictions in 1991 and hunting and waterfowl populations have thrived since." "The use of lead ammunition continues for other forms of hunting, presenting an ongoing risk to upland or terrestrial migratory birds and other species that ingest spent shot directly from the ground or as a result of predating or scavenging carcasses that have been killed with lead ammunition and left in the field" Ashe's order said. "Many states have enacted nontoxic shot and ammunition requirements to address this concern." Gun rights activists expressed outrage at the last-minute move, labeling it political. The National Shooting Sports Foundation called for the agency's next director to immediately rescind the order. "This directive is irresponsible and driven not out of sound science but unchecked politics," said Lawrence Keane, the group's senior vice president. "The timing alone is suspect. This directive was published without dialogue with industry, sportsmen, and conservationists. The next director should immediately rescind this and, instead, create policy based upon scientific evidence of population impacts with regard to the use of traditional ammunition."